Kansas guard Lagerald Vick (24) gets up for a lob jam to get the Jayhawks fired up during the second half, Monday, Jan. 21, 2019 at Allen Fieldhouse. The eyes said it all. With No. 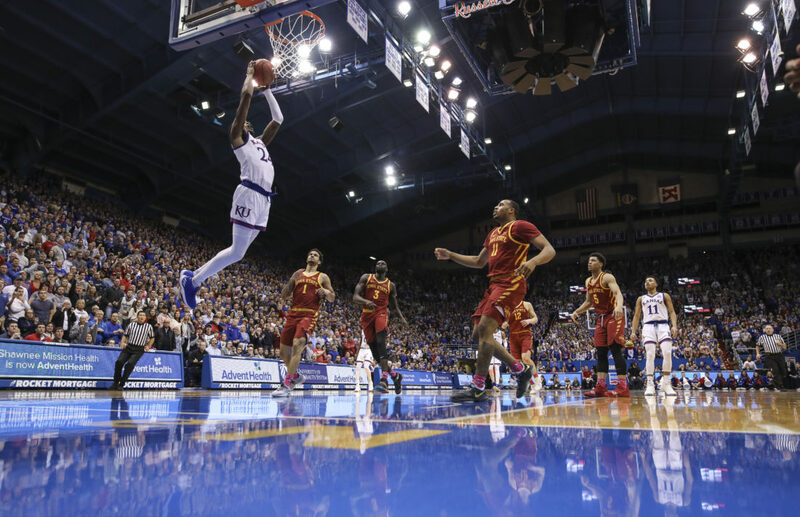 9 Kansas making a hard run and expending every ounce of energy it had to overcome a night when it was outplayed, outpushed and outexecuted by visiting Iowa State, Devon Dotson looked up the floor right about midcourt and saw Lagerald Vick slip behind the defense. The rest was easy. Dotson threw the lob. Vick threw it down. And Kansas grabbed its first lead of the second half en route to a wild 80-76, gotta have it kind of victory. The alley-oop to Vick accounted for the 7th and 8th points in a decisive 14-0 run that took Kansas from down 6 to up 8 in 3:58. Iowa State finally scratched again when ISU senior Marial Shayok (26 points) hit a pair of free throws to pull the Cyclones within 6. But while the KU lead was just a couple of possessions on the scoreboard — with still 7:27 to play — the feeling in the air inside KU’s old barn said this one was over. As has been customary with this team, however, the Jayhawks did their part to make sure this one was a nail-biter. Back-to-back turnovers by Vick and sophomore Marcus Garrett inside the 3-minute mark allowed Iowa State to tie the game at 69 with 2:26 to play. 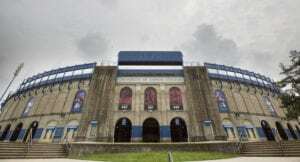 But this time, instead of collapsing, Vick hit a 3, Garrett finished another tough drive and KU led, 74-71, with 1:09 to play. Had Garrett chosen to make the free throw, things would have been even more comfortable for the home side. But the miss after the layup and a free throw from Michael Jacobson pulled ISU back within 2 points (74-72), with 48.5 seconds to play. A Dedric Lawson 3-pointer with 22.3 seconds to play put Kansas ahead by 5, but Iowa State never quit. It wasn’t until the second of two free throws for Dotson, with 5.9 seconds to play, rolled through to put the home team up by 4 in the final 6 seconds that Kansas could finally feel comfortable. 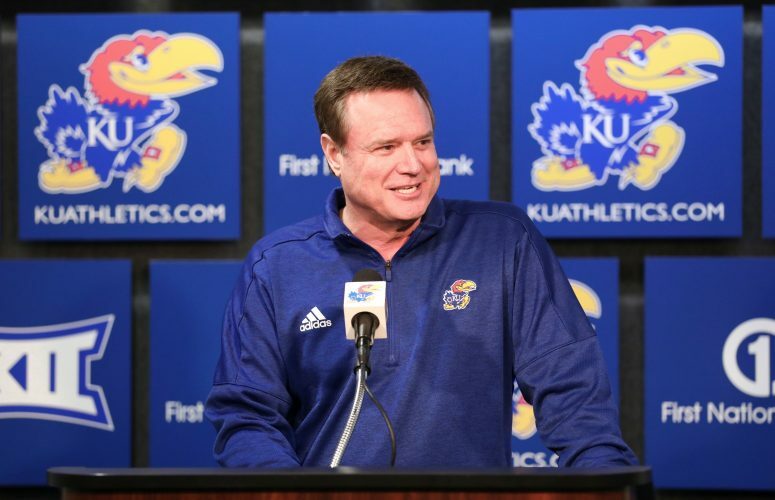 Maybe it was just a coincidence, but it was during the minutes that followed the public address announcer’s introduction of former KU national champions Brandon Rush, Sasha Kaun and Mario Chalmers to the Allen Fieldhouse crowd that the Jayhawks’ energy level reached another stratosphere. Two defensive stops. A 3-pointer from Vick. And a free throw from Lawson. 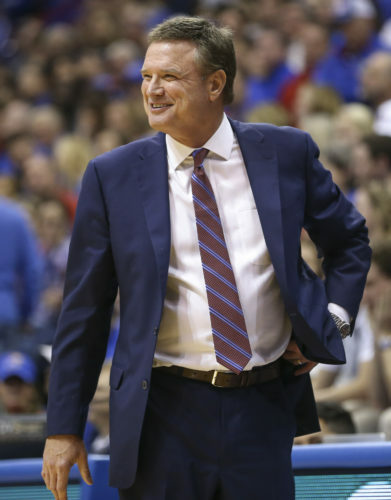 There was nothing particularly pretty about the stretch from 16:00 down to 13:00, but it was the hardest the Jayhawks played all night, and it cut the ISU lead to 2 — 47-45 with 14 minutes to play. More than that, though, it set the tone for how Kansas played the rest of the way — hard, hungry and hellbent on protecting its home court. While it was KU’s second-half run that proved to be the knockout punch, the Jayhawks likely would not have still been standing had it not been for the monster night by leading scorer Lawson, who carried Kansas through a rough first half and then helped close down the stretch. Lawson finished with 29 points and 15 rebounds and his 13th double-double of the season. “Dedric was unbelievable,” Self said. Garrett continued to ride his offensive hot streak, as well, delivering tough basket after tough basket to help Kansas maintain its lead. He entered the game having hit 15 of his last 25 shots and pushed that mark to an incredible 23 of his last 37 with his 16-point effort on 8-of-12 shooting against the Cyclones. 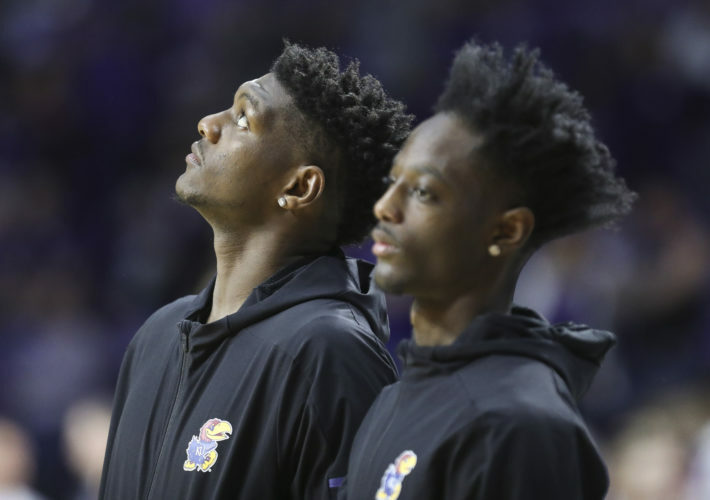 But while Lawson and Garrett did a lot of the heavy lifting for the Jayhawks (16-3 overall, 5-2 Big 12), freshman Ochai Agbaji returned to form early in the game to inject life into the Jayhawks early. Less than a minute after checking in, Agbaji, who continues to lock down the role of sixth man, made his presence felt on both ends of the floor. A driving layup got him on the board. A defensive rebound showed off his athleticism. And a rhythm 3-pointer from the top of the key tied the game at 16 after Kansas went down 14-7 early. All of that came in his first three minutes on the court. And all of that from a rising player who tallied just four minutes total in last Saturday’s loss at West Virginia. Another 3-pointer from Agbaji gave KU its first lead since 7-6 late in the first half, but that lasted just 18 seconds as the Cyclones buried another 3 of their own to reclaim the advantage. 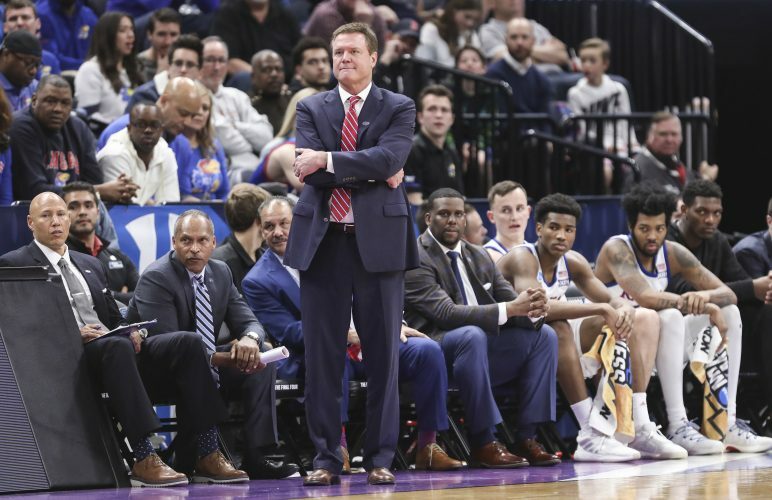 Exactly one minute after Agbaji gave Kansas that short-lived lead, the Cyclones led by 5 and KU coach Bill Self called timeout to regroup. After draining 13 of 25 from behind the arc in the win in Ames, Iowa, the Cyclones (14-5, 4-3) hit 6 of 16 in Monday’s first half and led the Jayhawks 42-37 at the break. Most of Monday’s first half was played at a frenzied pace, with the Allen Fieldhouse crowd begging to boil over. But every time the Jayhawks got close or tied the game with a couple of quick baskets, Iowa State did something to maintain control. First was a 3-pointer from freshman guard Talen Horton-Tucker. Later, Prohm calmed things down by using a timeout after a driving layup from Dotson tied the game at 24. Kansas benefited from nine first-half turnovers by the Cyclones or the deficit might have been closer to double digits after 20 minutes. Thanks to a heady defensive play by Lawson, who drew a charge on Shayok in the paint with 28 seconds to play in the half, Kansas had a chance to cut into the deficit, but Vick lost the ball in the lane on his way to the rim and a running 3-point miss by ISU’s Nick Weiler-Babb set the halftime margin. Back on top by itself in the Big 12 race, at least for a day, KU will get a break from the conference grind on Saturday, when the Jayhawks travel to No. 8 Kentucky for the SEC/Big 12 Challenge.